Last November, California voters approved Proposition 47, a measure that reduces some nonviolent felonies to misdemeanors. Since then, more than 500 people have been released from custody and over 1,000 people have had their felony convictions cleared in Contra Costa County. “It takes the stigma away and boosts your confidence. To have that removed is just overwhelming. I’ve struggled so long with this. I now feel like I’m not being labeled. 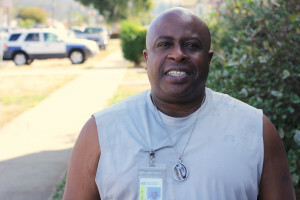 It’s like a new-born freedom.” A story about a Richmond man who was helped by Prop 47 and wants others to take advantage of it, on Richmond Pulse. This entry was posted on November 5, 2015 by Editor in Print, Richmond Pulse and tagged Incarceration, Proposition 47.